The Lumia 640 XL is a decent Windows smartphone that offers a large screen and decent everyday performance at an affordable price. 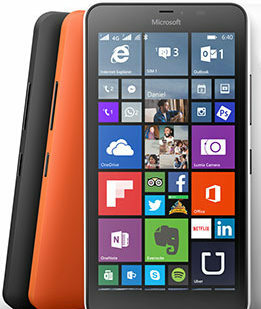 The Lumia 640 XL is a 5.7-inch windows smartphone from Microsoft. Upon its release in 2015, it received positive reviews for its durable design, decent day-to-day performance and good camera quality. The removable battery offers great battery life, and although 8GB storage is limited, a microSD card slot is available for expansion. Much like many phones in the Lumia line of products, the 640 XL is weighed down by an under-featured Windows Mobile software. The handset is also too big for one hand use, and the display’s resolution is too low for its size. All in all, the Lumia 640 XL is a solid phablet that will please any Windows lover looking for a bargain.